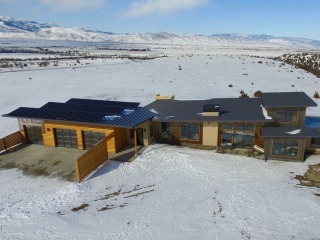 Known as the "Hawk Ridge Home", this new construction was designed to be as sustainable and energy efficient as possible with combined passive solar and radiant hydronic heating, passive cooling, tight insulation, a solar electric system, and interior finish from reclaimed lumber. 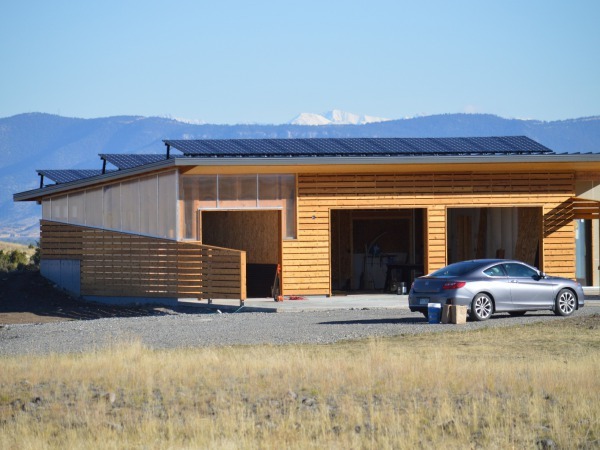 The home was designed by Greenovision Home Design, and turned out as beautiful as it is efficient! 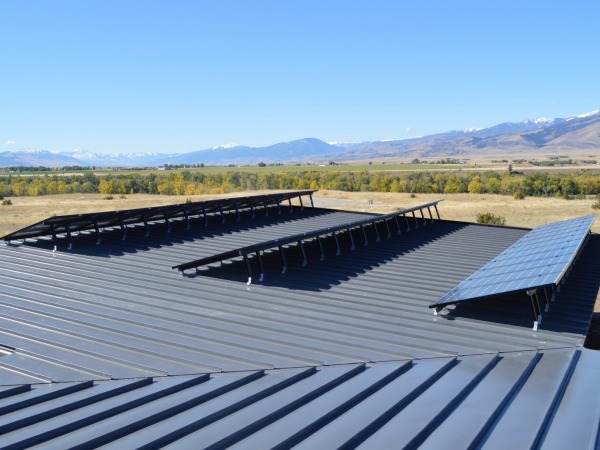 The roof aspect on the house that was best suited for solar was actually built with a slight tilt to the north. 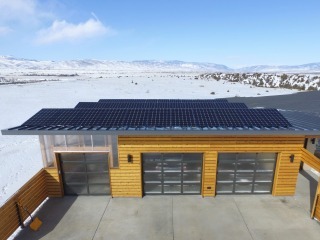 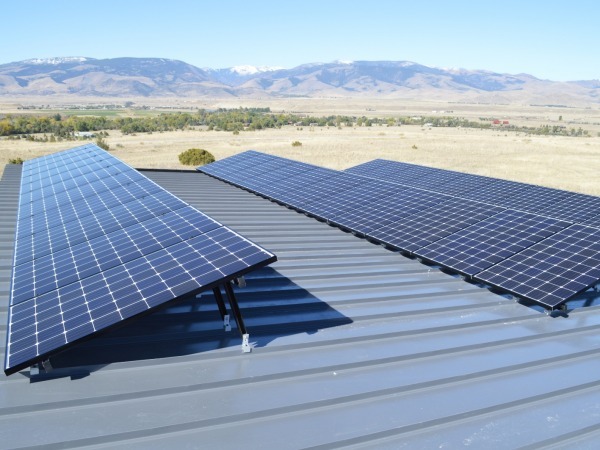 To accommodate for this, we installed the solar panels at a 15 degree tilt, which was the maximum angle we could tilt them up given the dimensions of the roof without causing inter-row shading.